Alongside a career as a musician in numerous rock bands and as a session and studio musician, Igor Pavlica has been involved in various experimental and cross disciplinary projects both as a musician and a composer. 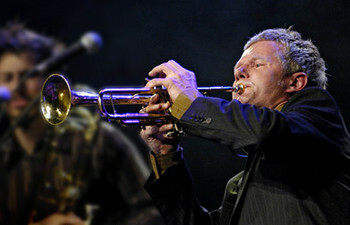 His main instrument is the trumpet, but he also uses piano, voice, percussion and musical toys. His musical influences range from kitch pop to free jazz. trumpet, percussion, lead and backing vocals in numerous ex Yu pop/rock/experimental bands - Haustor, Darko Rundek Band, Dee Dee Mellow, Cul De Sac, Film, Psihomodo Pop, Jinx, SoMazgoon, Rundek Cargo Orkestar, and others. -	Horse Tail, The Door, The Son, Zeinimuro by D.B. Indos, House of Extreme Music, played in Zagreb, Amsterdam, Vienna, London.